Xiamen Yangda Industry And Trade Co., Ltd.
Wholesale stock bulk ceramic coffee/tea/soup mug with spoon and cover in handle PRODUCT DETAILS PRODUCT PHOTOES Our service\Buyer Guidelines So anything you want to know about product, please ask us! ,Ltd is pleased to serve you! Tel: 86-20-34795191 Fax:86-20-34789012 If you interest in our Wholesale stock bulk ceramic coffee/tea/soup mug with spoon and cover in handle, pls feel free to contact us, tks. But we accept lower quantity for your trial order. Please feel free to inform us your plan for purchasing. we still keep the design and sample in our company . Alibaba.com offers 2,330 ceramic mug cup cover products. About 76% of these are mugs, 9% are cups & saucers, and 1% are lids, bottle caps, closures. A wide variety of ceramic mug cup cover options are available to you, such as sgs, ce / eu, and fda. You can also choose from eco-friendly, disposable, and stocked. As well as from ceramic, silicone, and metal. And whether ceramic mug cup cover is porcelain, bone china, or stoneware. 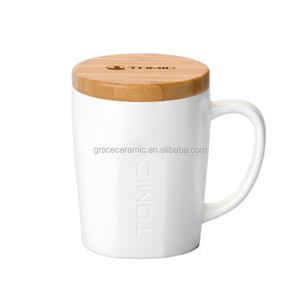 There are 2,257 ceramic mug cup cover suppliers, mainly located in Asia. The top supplying countries are China (Mainland), Hong Kong, and Turkey, which supply 99%, 1%, and 1% of ceramic mug cup cover respectively. Ceramic mug cup cover products are most popular in North America, Western Europe, and South America. You can ensure product safety by selecting from certified suppliers, including 193 with ISO9001, 139 with Other, and 39 with FSC certification.